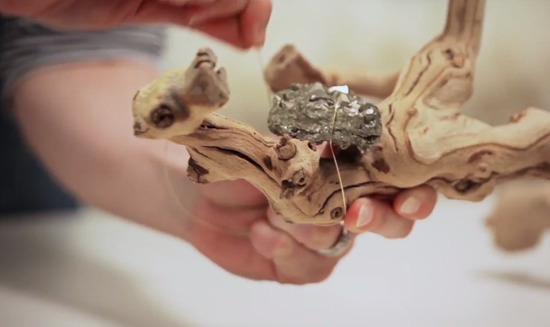 + Rue Magazine for including my HGTV Handmade debut in Links We Love this week. + Panda Head Blog for featuring my first video in This Happened/This Week. And for picking a really pretty screen grab to represent. + CRAFT Magazine for showing your sweet support with a post. + Hannah & Husband for giving a behind-the-scenes look at our sizzle reel shoot day. + Jenny on Craft Test Dummies for starting a dialogue about what she wants to see on the series. + Interior Design Locater for introducing us all in a blog post this week. Thank you all for the warm welcome on the new channel! I am so thrilled to have the series underway and promise to do my very best to create innovative content that you will love. Share with us what you want to see by leaving comments on the channel, on each video, and be sure to share YOUR creations with us on Instagram, Facebook, and Twitter by using the hashtag #HGTVHandmade.